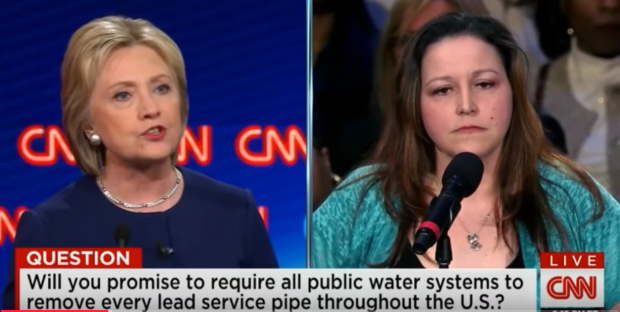 Both of the Flint, Mich. women who asked questions about the city’s lead-poisoned water during a March 6 Democratic debate hosted by CNN tell The Daily Caller that they did not talk to interim Democratic National Committee chair Donna Brazile ahead of the event. 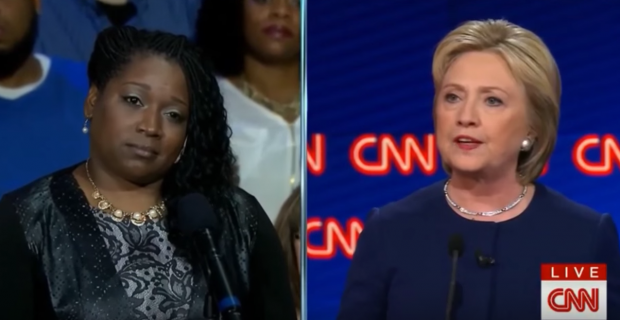 That confirmation undermines CNN’s theory — floated to reporters on background — that Brazile, a network contributor at the time, may have learned of the debate question from one of the women at a charity event organized by the network the day before the debate. CNN has also denied that a producer who coordinated logistics with the two women knew of the questions before the debate. But both of the women, Mikki Ward and LeeAnne Walters, tell TheDC that they indeed did provide their questions to the producer, Danelle Garcia. Further undercutting CNN’s claim is a news report published earlier this year which identified Garcia as handling questions for another Flint debate participant. The new evidence raises questions over whether Brazile was leaked the question from someone at CNN. An email released on Monday provided the second example of Brazile tipping off the Clinton campaign. The leak has angered many Bernie Sanders supporters because Brazile had insisted during the primaries that she was neutral. The leaks also violate the strict rules that news networks have surrounding the protection of debate questions. “One of the questions directed to HRC tomorrow is from a woman with a rash,” Brazile wrote in a March 5 email to Clinton campaign chairman John Podesta and communications director Jennifer Palmieri released on Monday. “Her family has lead poison and she will ask what, if anything, will Hillary do as president to help the ppl of Flint,” added Brazile, who also mentioned in the email that she had attended a charity event that day. But neither Ward nor Walters, who asked a question about the water crisis later in the debate, attended the function. “I didn’t attend the charity event,” Ward, whose son has a rash because of Flint’s water, told TheDC. Walters, a mother of four who has led a national push to bring the water crisis to light, told TheDC on Monday that she also did not meet Brazile or attend the charity event, where the Democratic party official and other CNN employees passed out water to residents. CNN spokeswoman Lauren Pratapas said on Monday that the network did not provide any debate questions or materials to Brazile. On Tuesday, Pratapas insisted that CNN is confident that Brazile did not receive the question from someone with the news company. Brian Stelter, a CNN media reporter, wrote in a newsletter late Monday that he was with Brazile at the charity event. He suggested in the newsletter that one of the women may have met Brazile and shared the question at that time. TheDC’s reporting, as noted, contradicts that theory. Though CNN is not conducting an investigation of whether a leak came from within, both Ward and Walters identified Garcia — a producer for Anderson Cooper — as the employee with whom they communicated ahead of the debate. Walters told TheDC that she was contacted by Garcia on Feb. 25 and asked if she would be interested in asking a question at the debate. Walters, who reviewed her text messages for TheDC, said that she submitted three questions that she wanted to ask via text message on Feb. 29. And on March 5, the day before the debate, she submitted one of the questions by text message. Ward told TheDC through email that she did not go through the same process as Walters but that she “talked to Danelle only.” She did not say whether she submitted a question to Garcia. CNN has refused to explain its process for selecting debate questions or to discuss which network employees handle them. And though the network says that Garcia would not have come into contact with debate questions, a profile by East Village Magazine identified her as a CNN producer who handled questions for another Flint debate questioner. The questioner, a 61-year-old retired teacher named Denise Ghattas, described a process very similar to the one Walters described to TheDC. Ghattas told the magazine that she met Garcia and was asked to submit three questions to be asked at the debate. Garcia called Ghattas on the Friday before the debate to tell her that she had been selected to ask one of the questions. “Do you believe God is relevant? Why or why not?” was the one the network chose. Ghattas said that she met Garcia at a local restaurant to discuss details for the debate and that the producer explained that Ghattas would ask the question of Sanders and then Anderson Cooper would prompt her to ask Clinton. But those plans changed on the Sunday of the debate, and the alteration appears to have been to Clinton’s benefit. Ghattas said that a CNN producer informed her 20 minutes before the debate that she was to ask her question of Sanders and then a separate question — “To whom and for whom do you pray?” — of Clinton. Ghattas said that she believed Clinton had been briefed that she was Eastern Orthodox. “I have been several times in your services and have joined in those prayers,” Clinton said. Her full response was praised by many supporters, including the left-leaning outlet Vox.com.